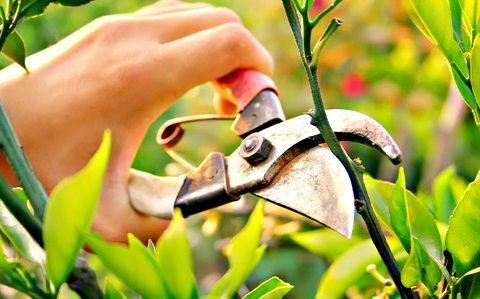 So yes it's true, tree trimming services are very similar to pruning, but the techniques used and the reasons for doing so is what separates the two. While trimming is typically done to make a tree look nice and pretty, pruning is primarily done to improve the overall health of a tree. If you spot dying limbs on a tree don't panic, this isn't necessarily a sign that the whole tree is dying and can usually be reversed with the help of one of our tree experts. "What do you mean what can I do?? Call Washington DC Tree Service!! We can prune your tree back to health!" If you found yourself with a tree that is getting out of control and beginning to take over, we can apply certain pruning techniques that can actually slow down the rate of growth in the whole tree. Yup, it's like we are playing God of the Trees. That's right people, the above applies if you have a tree that's a little slower than it's peers and lagging behind a little bit. Pruning trees can also be done to enhance the growth and allow it to catch up and not get picked on anymore. A lot of trees tend to grow stubborn branches and limbs that begin to bully the other branches. They start to grow into other branches or even parts of your home. Over time these branches can damage parts of the tree and can really cause a lot of harm if they aren't dealt with properly. If you find yourself finding unhealthy looking branches on a tree, do not panic my friend. Catching this early does help but even if you don't, one of our arborists have the techniques and experience to prune away these unhealthy branches and prevent any disease from spreading. It might not sound like a big deal but if left alone you can almost guarantee that the problem will only get worse. Let's not forget that decaying and rotting limbs are a favorite home for termites and other parasites that are just a pain period. Along with stump removal, leave this one to a professional tree service like us. Pruning fruit trees is not easy and requires a lot of knowledge and experience to do it correctly and effectively, depending on the species of the tree. Our certified arborists have worked with them all and have mastered the pruning techniques that are needed. You won't believe how much we can increase your yield.